In my experience, the best masters come from mixes that don’t need much processing (little to no eq or compression). This may sound obvious but the majority of tracks that come in from artists big and small have common problems outlined below. A lot can be achieved with proper mastering but if you’re looking for optimum results, the sound quality will be best when little has been changed. Look at it this way, any eq across the entire track is going to change the overall phase and any compression will change the internal dynamics and envelopes within the mix. In a perfect world, you nailed all of that already and want the least amount of damage whilst getting it louder. • avoid the 'smiley face curve’, solid midrange is everything. If you want a big low end and loud, bright hihats, figure out how to accomplish it while keeping the balance in check. A lot of it comes down to sample selection, pitch, envelopes, layering, arrangement, etc. • watch your kick and bass relationship. It’s very common for mixes to come in with way too much low end. Mastering can correct this with eq, but it’s much more difficult when the relationship is off. Your biggest improvements will come from nailing the low end in the mix. The reason why it’s so challenging comes down to the problem most rooms have with proper low end reproduction (peaks and nulls) but this is where you want to spend your time putting things under a microscope. Listen in headphones, analyze on a spectrum analyzer. The closer you can get it, the better. • keep your unruly, dynamic sounds in check. Things like band-passed or hipassed vocal fx that resonate around 1-3k will distort a master very easily unless it’s under control and sitting right in the mix. Try following the filter up with saturation, distortion or compression to smooth out the transients. • don't just listen to the cutoff frequency when applying a low cut filter. This isn’t as much of an issue as it is a tip that a lot of people wouldn’t have considered. As you move the filter around, listen to what’s happening to the midrange and highs as well because the low cut is affecting the overall phase of the sound. This is especially important when considering a low cut on kick drums or bass. Notice how when you move the cutoff around the bottom of a kick drum, it can affect the sound of the midrange attack as well. Find the sweet spot where everything sits nice in the mix. • and finally, don't rely so much on mastering. The mix should sound pretty solid without additional limiting. Proper mastering tries to make every attempt to respect the original dynamic whilst getting the track loud. If the track comes in with dynamics that the artist didn’t intend, there’s a chance for there to be differing opinions once the master is complete. try buss processing to achieve this. I’ve recently been converting some established artists who were previously relying on a master limiter to do around 10+ db’s of limiting to achieve the transient control across the mix they wanted. I explained that you can achieve much greater control, separation and sound quality by dealing with those transients before they hit the master fader. coming from a background of mixing on an analog desk with stems, I’ve never understood why you’d want to just slam everything into one box (digital limiter). 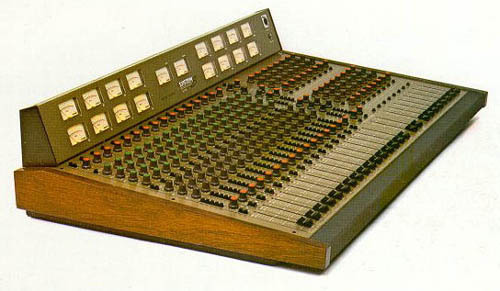 The approach we always took was to mix clean and surgical in the box then stem out the drums, bass, synths (or whatever the dominant midrange sound is) and fx separately to eight channels of the desk for the dirt, fatness and vibe. The drums would get slammed into the red with fat British opamp (TL072) saturation. The transients would flatten out but the sound remained punchy and fat. To this day I’ve not found a plugin that could do this anywhere near as well and i’ve tested them all. what people tend to do these days as an alternative is one of, or a combination of a few things: digital distortion/saturation and digital compression/limiting. I would recommend that if you’ve never worked with analog, that you at least experiment with some cheap analog gear to hear what it does. This way you can understand what plugins are trying to emulate or how you can get the most out of them. If you’re going for a clean & pristine Pop sound, then cheap analog gear is most likely not going to work for you but if you’re going for a fat and dirty sound (which I believe most Bass Music producers are), give it a go!